New patient consultations at Gateway are expensive, in large part because of the hidden or invisible work that takes place as part of the consultation process. The table below contrasts the visible work, which is contained in the two sessions with clinicians, to the hidden work done by clinical and nonclinical staff in order to make those two in person visits as productive as possible. When I first began doing clinical work initial consultation sessions were routinely three or four sessions long. Using new technologies and a lot of expert staff time we’ve managed to cut down patient time, but sometimes it may seem as though we are doing very much to earn the money that we charge. 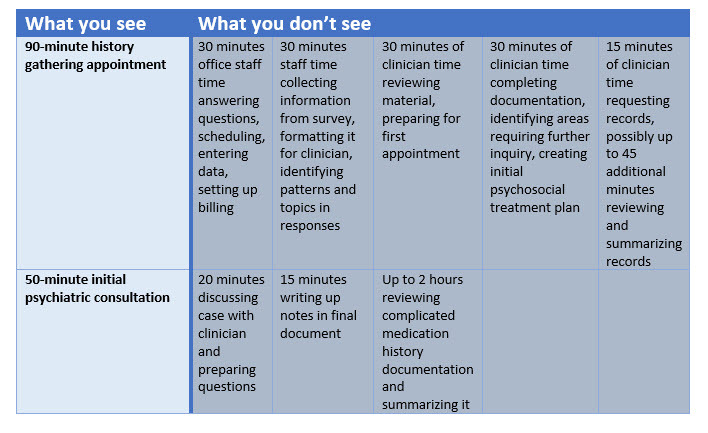 For typical new patient consultation hidden or invisible work exceeds the amount of visible work by a significant amount. 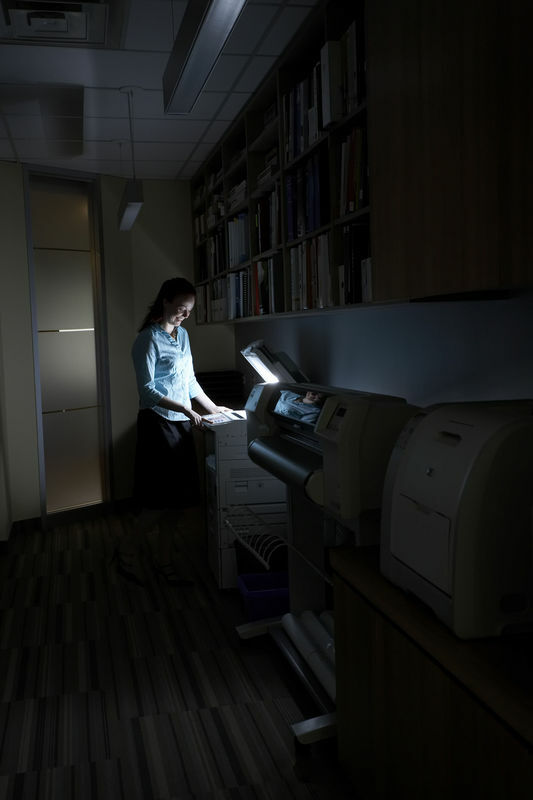 And for patients with complicated histories, especially where there are medical records that summarize multiple medication trials, hidden work can easily be twice as much as the visible work.